This new mobile browser provides speed, security, and privacy, offering support for all Samsung Galaxy and Google (both Nexus and Pixel) handsets that run at least Android 5.0 Lollipop. Samsung Internet has been around for a while, and the company's Android handsets come with it already installed. However, most users usually end up using Google Chrome or another popular mobile browser. 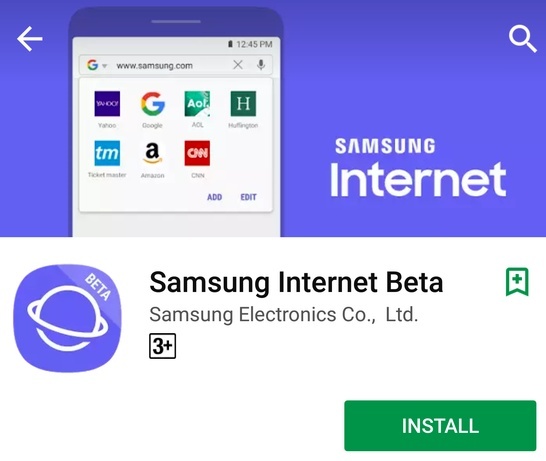 Now, Samsung has just decided to make its mobile browser available via the Google Play store as Samsung Internet Beta, allowing those interested to test the upcoming features on Google handsets as well. The current version available on Google Play is 5.4.00-3 and has been updated on March 5. Samsung Internet Beta requires Android 5.0 Lollipop or later and has been installed by less than 5,000 users so far. Its current rating is quite high - 4.8 out of 5 stars after 171 user votes. 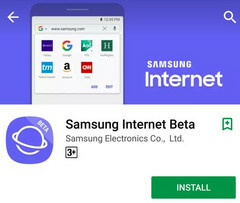 According to the Google Play page of this product, Samsung Internet Beta supports "all Samsung Galaxy and Google Nexus phones," as long as they run the Android versions supported (mentioned in the previous paragraph). Obviously, the Google Pixel handsets are also supported.